These are a couple of head decals I made a while back. If you click on each image, it will take you to my DeviantART Page which has super-big versions of them for you to download (right-hand sidebar), print and play with. Enjoy! The Scarecrow: Not a massive fan of the official LEGO Batman Scarecrow, for me he's a bit too graphic and not really in keeping with the LEGO's house style, so I took a shot at making him more LEGO-y. What you think? Aces, that skull is Perfect, just 8 posts and you already shine. And thanks for sharing with clear background, that helps a bunch, specially for direct prints. If (when I print it ) I'll post a pic here. Any chance a torso is on the way?? - This is greedy me talking. Nice work with the scarecrow, but he looks "too cute" IMO. 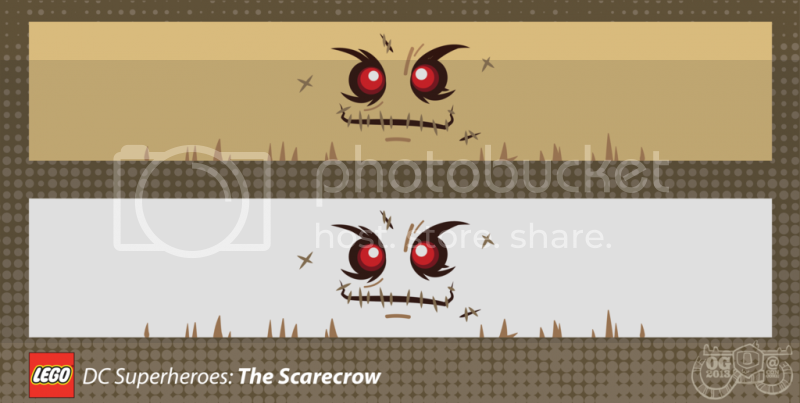 Clueless, angry, scary or maniacal laugh, now thats the scarecrow, cute mmmh Nope. 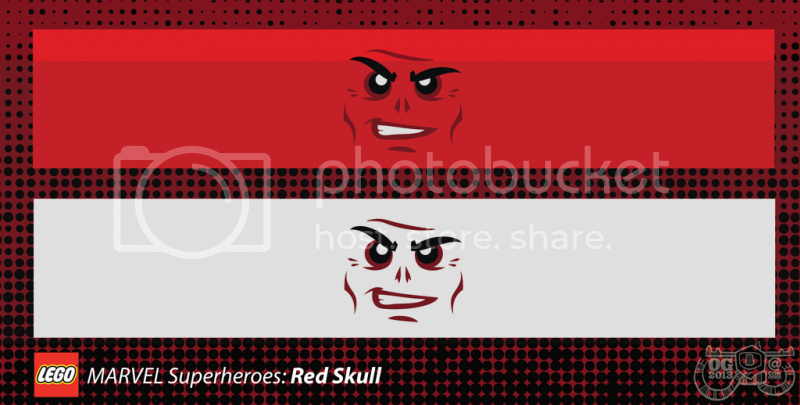 I love the Red Skull! That Red Skull fig is great, hope to see one like it in the near future. Perhaps a faint sack cloth texture on the scarecrow head would help it look more odd and less cute? Less like a very tanned villain. lol. I do like the scarecrow though. the sewn up mouth is creepy enough while still maintaining the cartoon look of Lego minifigs.